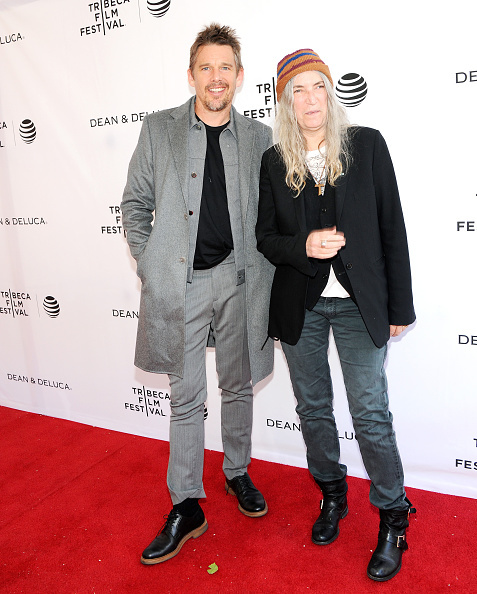 Actor Ethan Hawke and singer-songwriter Patti Smith attend Tribeca Talks Storytellers - Hawke was eye catching in his layered grey with a collarless pullover, and Patti, well, is always just Patti. Actor Tom Hiddleston attends the premiere of "High-Rise" - Hiddleston's three-piece suit was equal parts stuffy banker and brazen billionaire. Photo by Taylor Hill/Getty Images. Gael Garcia Bernal at "Madly" Premiere: Super laid back in navy blue velvet jacket, tee and jeans. Photo by Monica Schipper/Getty Images for Tribeca Film Festival. Mahershala Ali (R) attends "Kicks" Premiere - Sometimes just a big ol' white shirt and great hat will do. 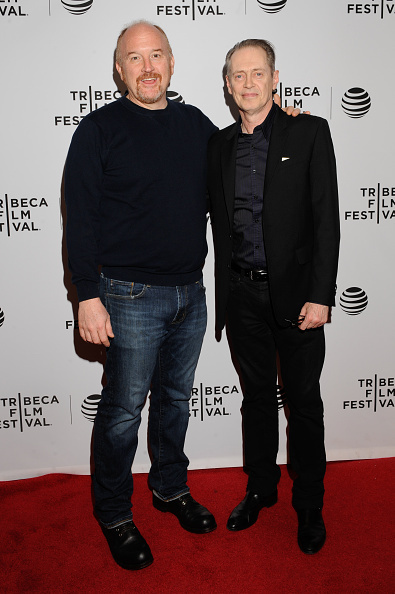 Photo by Ben Gabbe/Getty Images for Tribeca Film Festival. Actors Jenny Mollen and Jason Biggs attend the exclusive gala event For the Love of Cinema during the Tribeca Film Festival hosted by luxury watch manufacturer IWC Schaffhausen. Photo by Dimitrios Kambouris/Getty Images for IWC. 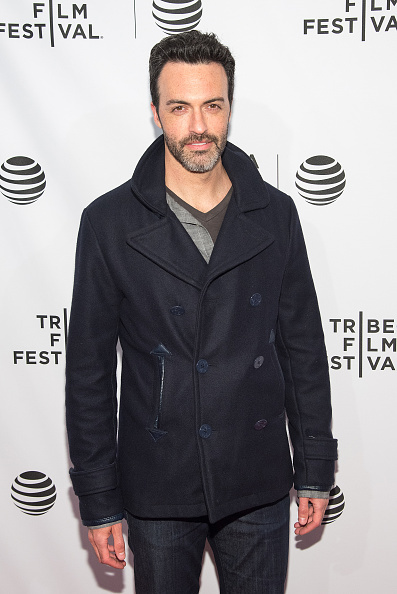 Actor Reid Scott attends the "Nerdland" premiere - The "Veep" star wears a pea coat jacket detailed to perfection. Bryan Batt attends the 'The Devil And The Deep Blue Sea' Premiere - Batt's display of grey and blue layering is an example of great blue styling. 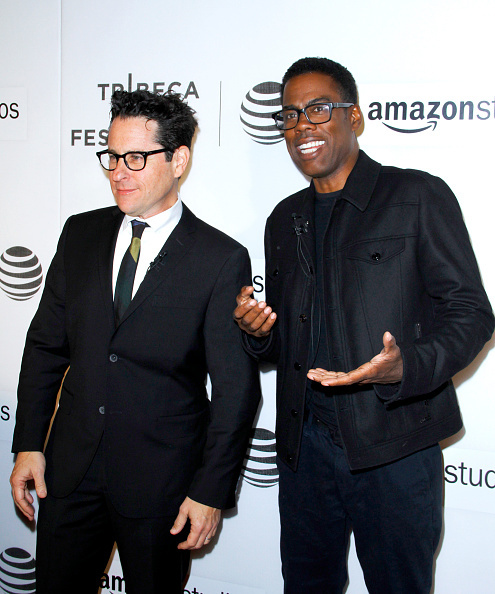 J.J. abrams and Chris Rock attend at the Tribeca Talks Director's Series - J. J looked sharp, and but Rock looked sharper. 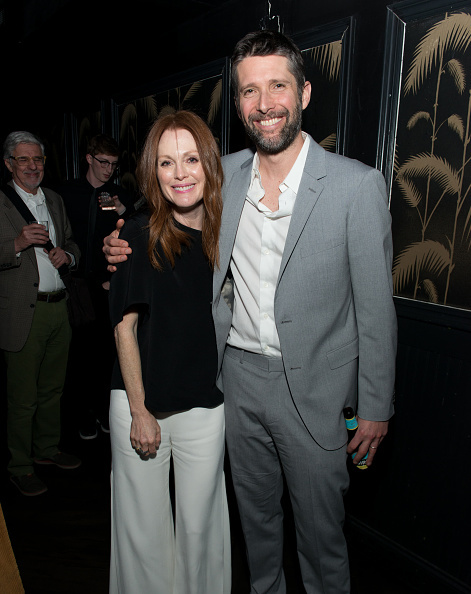 Julianne Moore and Bart Freundlich attend the "Wolves" after party. 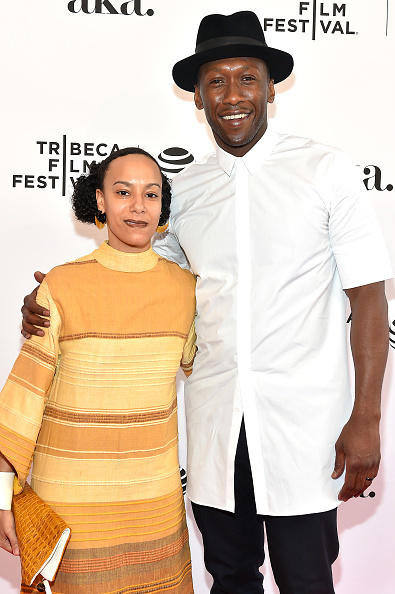 Photo by Noam Galai/Getty Images for 2016 Tribeca Film Festival. Zac Posen attends 'All We Had' Premiere at John Zuccotti Theater. Louise C.K. and Steve Buscemi attend "Check It" premiere - Louis kept it cas', while Buscemi dialed it up in all black for the carpet. Jason Bateman and Nicole Kidman attend the premiere of "The Family Fang" - Bateman is a fave, but who wouldn’t shine next to Kidman? Lauren Hutton attends the premiere of "Jeremiah Tower: The Last Magnificent" - Lauren was one of the first to wear menswear as a woman. Actor Adam Goldberg (L) and Roxanne Daner attend the "Between Us" Premiere - Goldberg looked city slick with black-on-black using brown man bag and belt for accents. 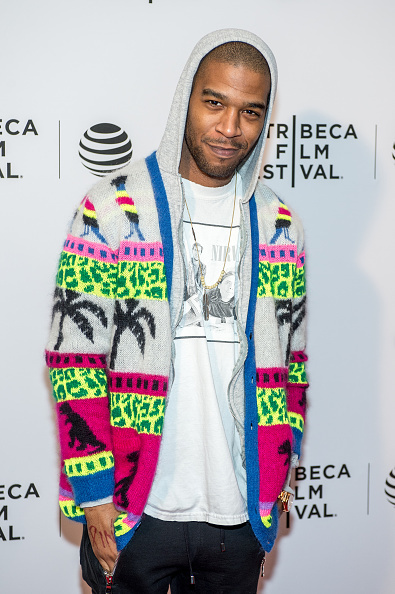 Kid Cudi attends "Vincent N Roxxy" Premiere - Cudi made a statement in his space-like shoes and colorful hooded sweater. 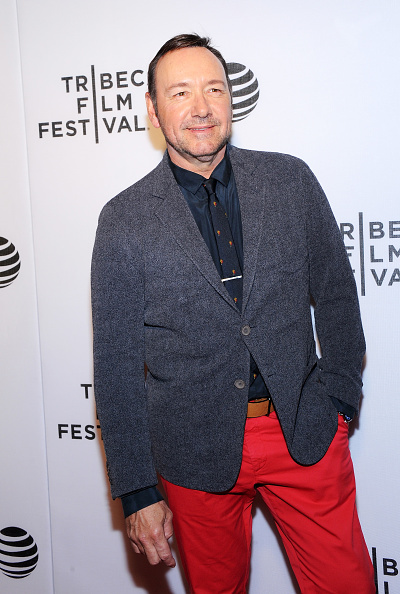 Actor Kevin Spacey attends 'Elvis & Nixon' Premiere - Blood orange pants and short hemmed jacket make for just thr right blend of hip and nerd. Katie Holmes, Carmelo Anthony and La La Anthony attend the 11th Annual Chanel Tribeca Film Festival Artists Dinner. 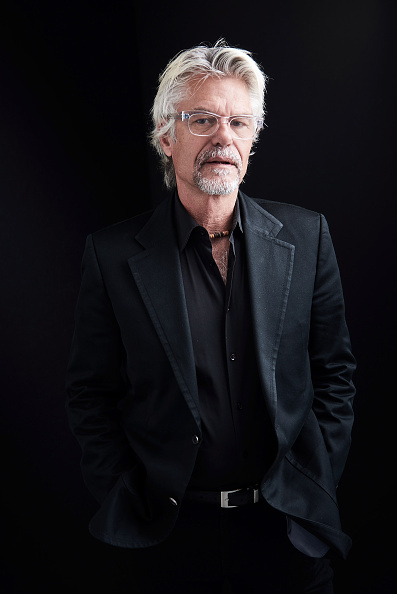 Actor Harry Hamlin from "Rebirth" at Getty Images Studio - Sporting the new clear glasses with no prescription look, Hamlin still has the best over-50 men’s hair looks. Photo by Larry Busacca/Getty Images for the 2016 Tribeca Film Festival. 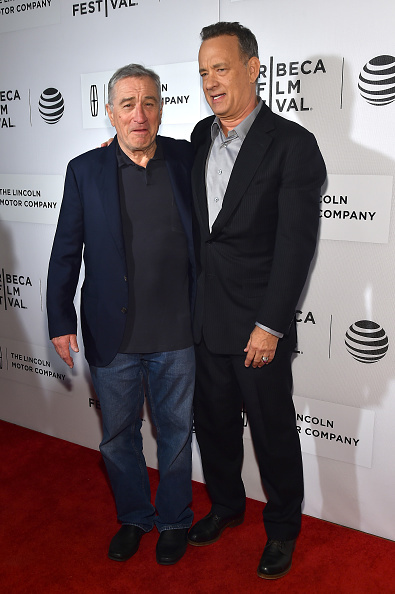 Robert De Niro and Tom Hanks attend the "A Hologram for the King" Premiere: DeNiro has never looked or dressed better since his wife took him to several Fashion Weeks this year.